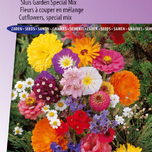 Garden enthusiasts please note: The largest assortment of garden seeds for splendid flowers and the best vegetables! Do you prefer to be busy in your vegetable plot or ornamental garden rather than having to go to the garden centres to buy your garden seeds? Then there is now a unique possibility! Seeds4garden offers you the chance to order your garden seeds at your convenience and at your leisure. Buy your garden seeds through our website, which is quick, conveniently arranged, and safe and home delivery is done in a few days. This way you have more time to get busy in your own garden! Clever calculation with garden seeds! When you buy garden seeds instead of seedlings or small plants it is much cheaper. Just think of how many small plants you can cultivate from one packet of garden seeds! Have a look in the garden centres at what a petunia plant costs and then consider that with that amount you could have cultivated tens, if not hundreds of petunia plants! And this also applies to hundreds of varieties of other flowers that you can buy for a lot of money in the garden centres, like lupines, violets, oxe-eye daisies and asters. 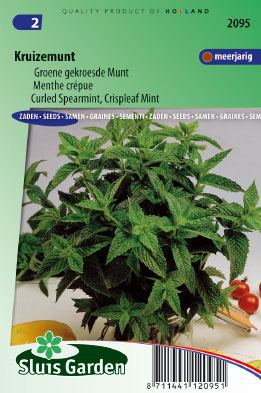 Garden seeds: also excellent for the tastiest vegetables and herbs! 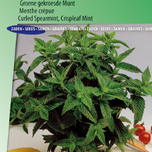 In addition to a large assortment of flower seeds, Seeds4garden offers you a wide range of vegetable, and herb seeds. You can buy not just the well-known garden seeds such as curly endive and beetroot, but also ‘old’ and ‘forgotten’ varieties from us. What’s stopping you from sowing next to the winter carrots a row of palm kale, or to try out a number of different varieties of pumpkins! There is no limit to what you can do with garden seeds! Kaufen Sie Ihr garten Samen mit rabat in unserem webshop!